Squash crops can be sown directly into their spot in the garden, when the soil reaches at least 20 °C (68 °F). However, usually they are planted as seedlings with root clod. The bush variety at least 1 m (3 ft) between rows, at least 0.5 m (1.5 ft) between the plants in a row, and even more for the vine variety. Outside in May, for seedlings in April. It germinates in 8 days. It needs rich fertilization. Use barn manure or home compost, or plant squash directly in the compost. If the fruits are getting dry, they lack boron or manganese. If you want to harvest more, water amply – at least every second day, to 20 cm (8 in) deep. Cover with organic mulch. Basil, sweet corn, sunflowers, beans, onion, Indian cress, broad beans, peas, black radish, radish, tomato, lettuce, mint. If pests or diseases attack, plant new crops (till mid-August). Keep sufficient distance between rows and airy soil, use organic mulch and water occasionally with algae brew. They are ripe when their color changes or intensifies, or when the stalk turns yellowish and barky. For storage, pick completely ripe squash and store in a cool basement. Use the meat of the fruit, the blooms and the seeds. They contain a lot of vitamins and minerals. Pick seeds only if there are no other squash varieties in the 500 m (1500 ft) vicinity. If the meat is bitter, it is an ornamental type of squash or a hybrid. 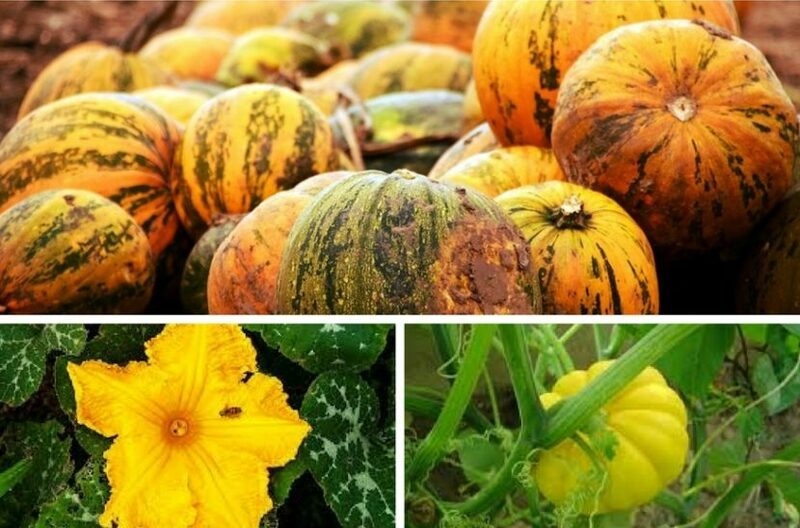 There are edible and ornamental varieties of squash, which shouldn’t be confused, as the ornamental ones are not edible.